Born near Brandon on 27 April 1886, son of James and Margaret Honeyman, he was educated at the University of Manitoba, receiving a BA in 1909 and LLB in 1912. He practiced law in Winnipeg until shortly before his death. He was made a King’s Counsel in 1931. 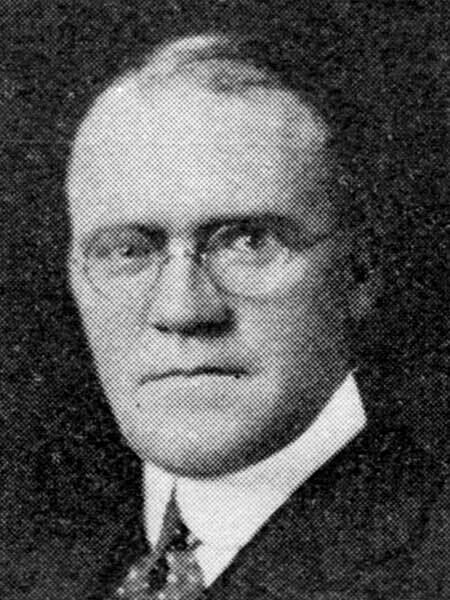 He served as a Winnipeg alderman from 1929 to 1938 and was a member of the Municipal and Public Utility Board and a trustee of the Sinking Fund. He was commemorated by Honeyman Avenue, being the first alderman so honoured while he was still living. He also served as a President of the Armstrong’s Point Association and was founder and a President of the Pala Camp Association of Minaki. He was a member of Westminster United Church. He died at Winnipeg on 12 July 1969. “Six Manitoba lawyers named King’s Counsel”, Winnipeg Free Press, 1 January 1931, page 1. Obituary, Winnipeg Free Press, 14 July 1969, page 29. “Former Wpg alderman dies at 83,” Winnipeg Free Press, 15 July 1969, page 6.